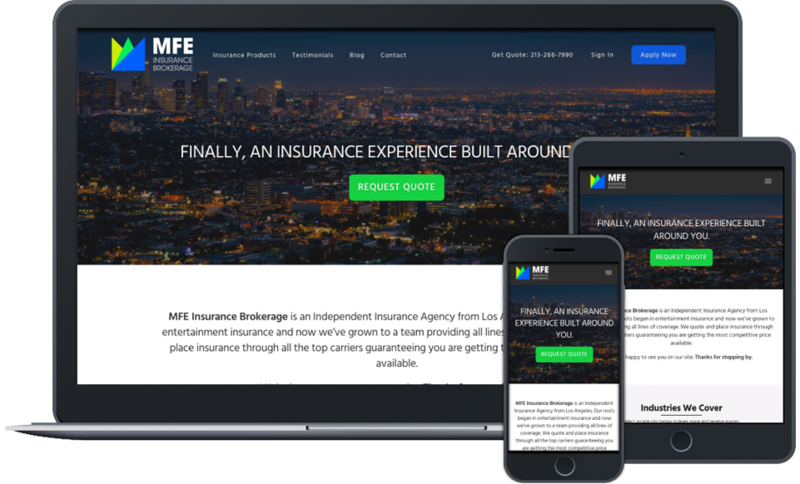 MFE Insurance Brokerage is an independent insurance agency headquartered in Los Angeles, CA. MFE Insurance Brokerage provides all lines of coverage, but primarily offers insurance policies specifically tailored to the entertainment industry. MFE Insurance Brokerage has offices on both sides of the United States, and offers nationwide coverage for businesses and individuals. 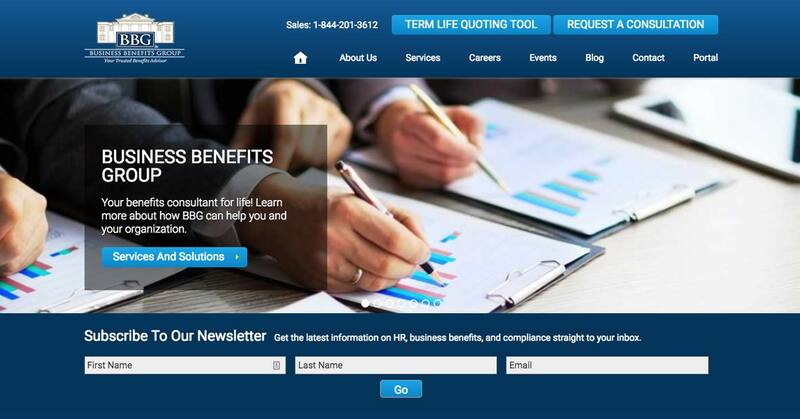 MFE Insurance Brokerage aimed to position themselves as one of the top entertainment insurance agencies in the industry. 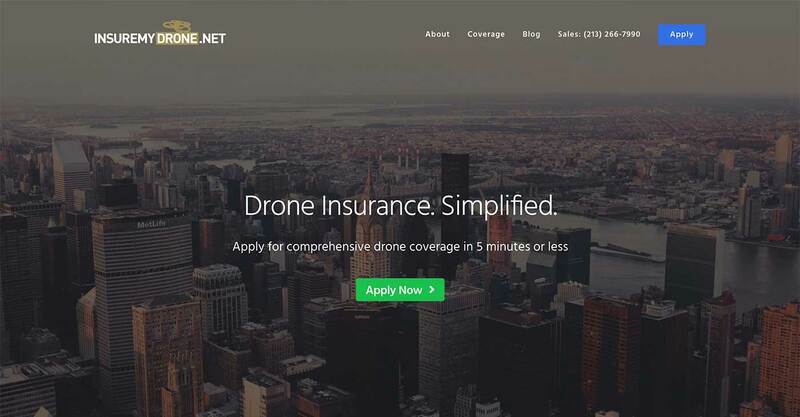 The main objective of the digital marketing campaign was to increase qualified leads primarily searching for entertainment, drone, and cannabis insurance policies. We began the campaign by identifying valuable keywords related to entertainment insurance, and began curating content targeting those keywords. 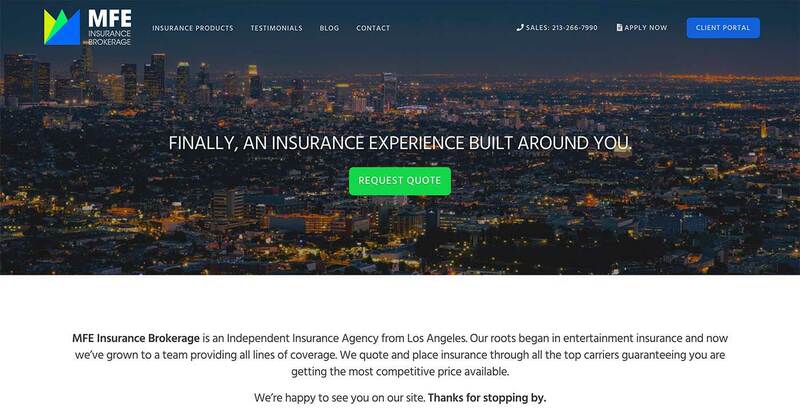 By implementing a local SEO strategy, MFE Insurance Brokerage quickly became one of the top companies offering entertainment insurance policies in Los Angeles, California.